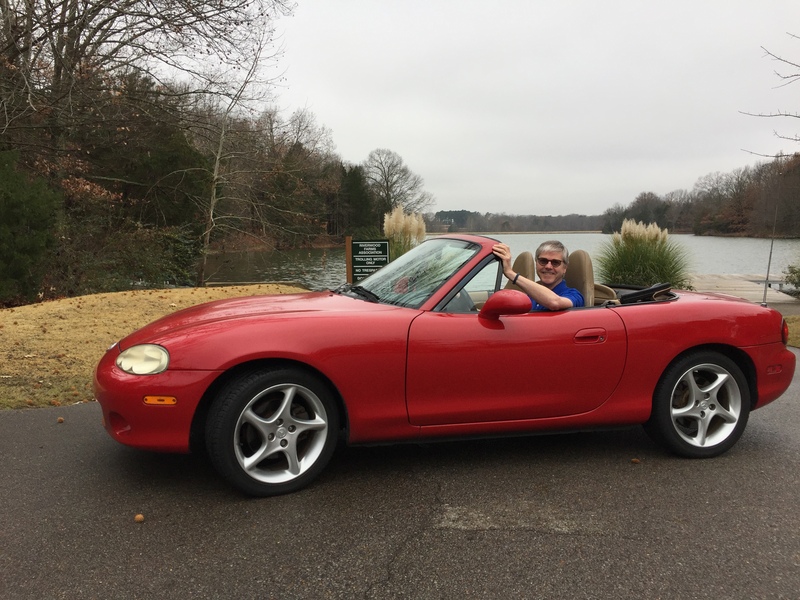 I wrote earlier this fall about my 1994 Mazda Miata reaching the significant milestone of “classic” car status. 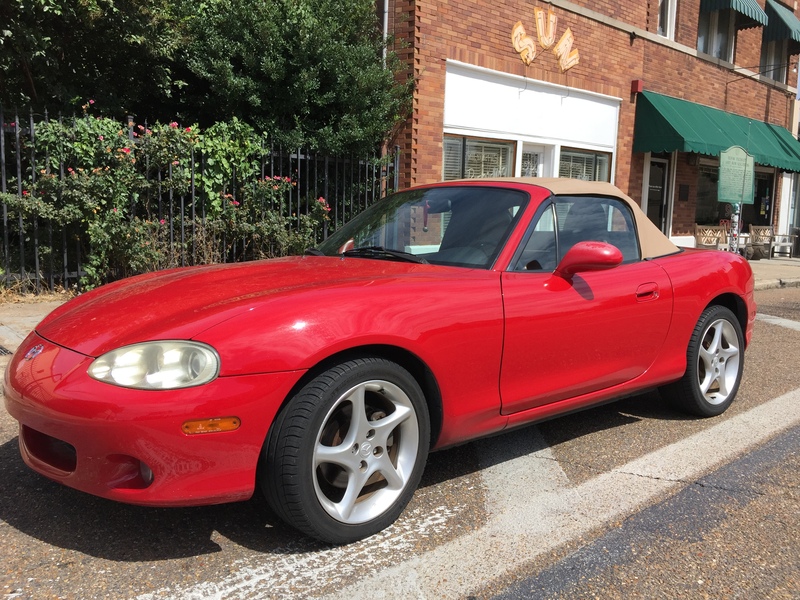 But turns out, my 2002 Mazda Miata, affectionately known as the Fireball (short for Atomic FireBall, one of my wife’s favorite candies at the time I bought it), also needed some special attention. Amazingly, this 17 year-old car still had its original top, an accomplishment I can only attribute to her being garage-kept for most of her life with me. 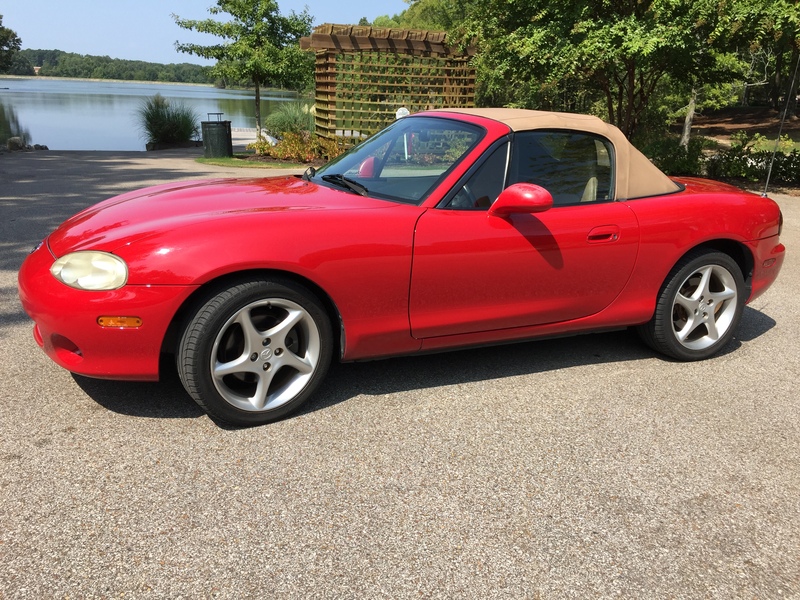 I can’t recall how many tops I have replaced on my 1994 Miata but admittedly, for most of her life; she has lived outdoors and often that was in very hot climates. 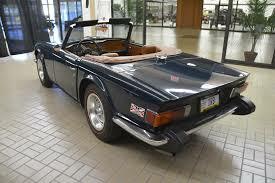 I learned early on how fragile a convertible top could be when I borrowed my then brother-in-law’s Triumph TR6. There must have been a special procedure for putting the top down that I was not aware of because when I went to put the top up before returning it, I noticed a small hole in the top that I did not remember being there before. 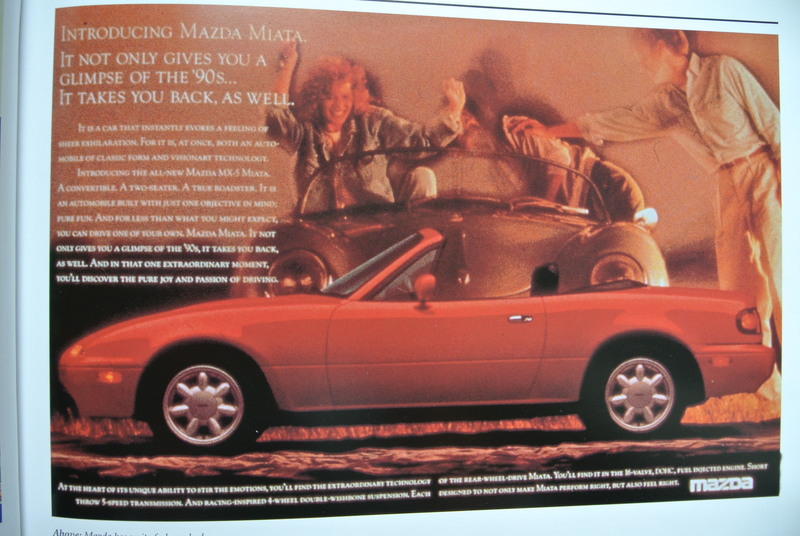 One good thing about the improved mechanical reliability of a Mazda Miata over a 1970s era Triumph is the convertible top seems to be of a much higher quality as well. 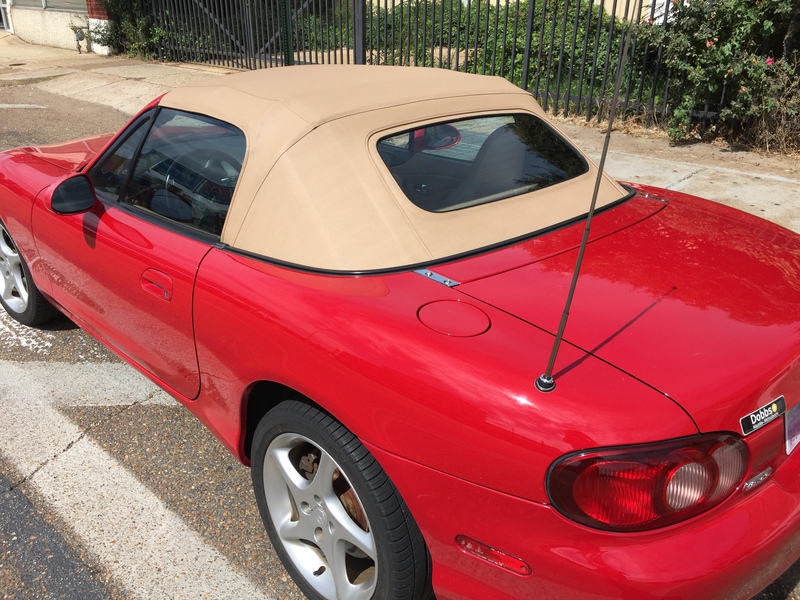 For more years than I can remember, I had no issue with the top on my 2002 Miata, but again it was mostly garage kept. 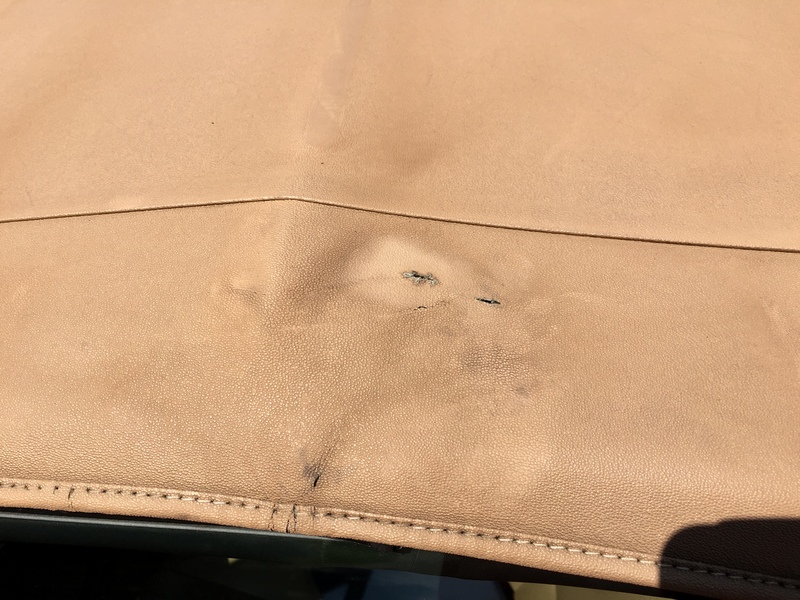 Then at one point, I noticed a couple of small pinholes in the top, probably having occurred from repeated times of putting it down (the most fun way to drive a convertible, with the top down). 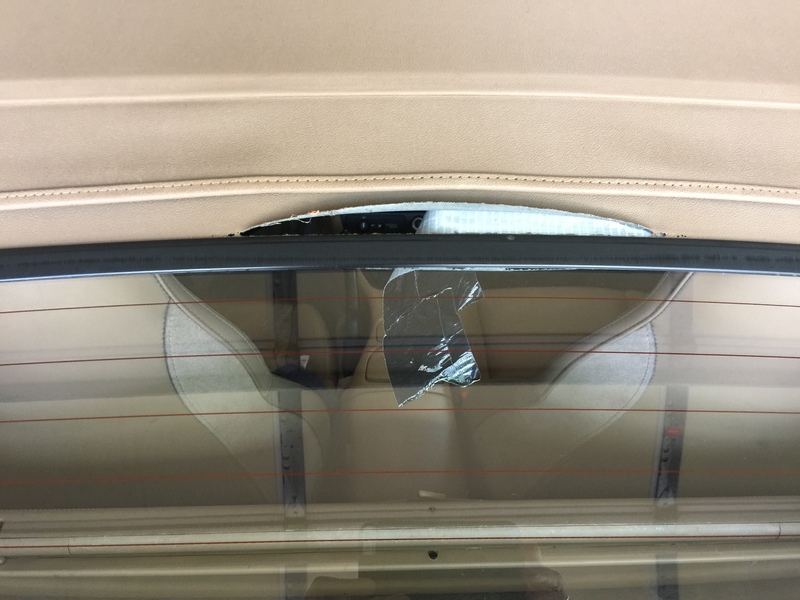 I found that small pieces of black electrical tape applied to the inside of the top easily covered the hole and was hardly noticeable given the interior side of the convertible top was black material. And if the tape came off due to heat or repeated stress of opening and closing the top, I would just stick another piece on. It also worked perfectly fine keeping the rain out. 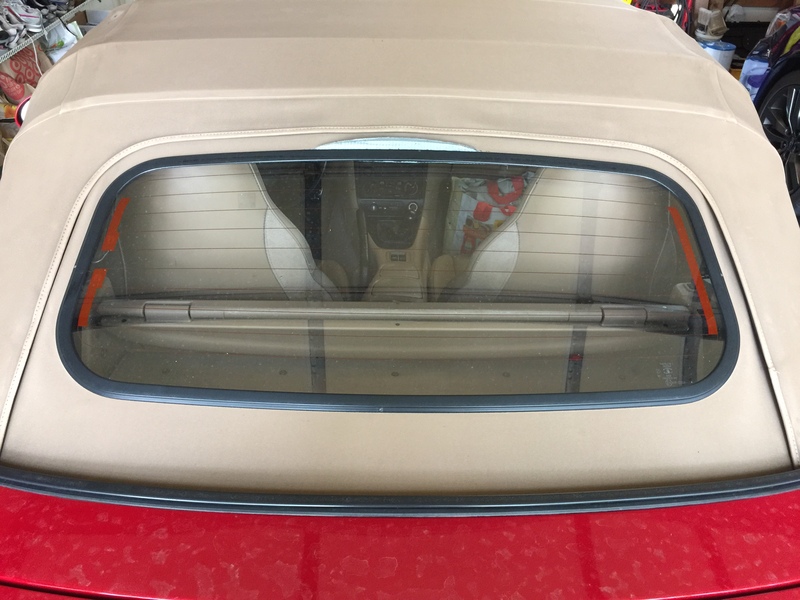 But then within the last couple of years, I noticed tiny pinholes appearing at the interface between the rubber grommet that enclosed the glass rear window and the tan convertible material. Applying larger pieces of electrical tape still seemed to work but didn’t stay on for very long. I found another “duct tape-like” tape that came in black and had a more aggressive adhesive. This worked better but still would occasionally come off after lowering or raising the top. But then within the last 12 months, the problem got worse. It seemed almost like every time I put the top down and then raised it, the tear got larger. Applying ever-larger pieces of tape on the inside sealed the opening but then the top material itself began to curl revealing the white adhesive backside of the tape. No matter how much pressure I applied, the curled material would not stick to the adhesive. Replacing the top on the Fireball made it onto my Long Term To Do List when I put these lists together after I retired last October. In the mean time, I could still drive the car; I just couldn’t put the top down (which is no big deal in the winter). But when spring came around, I began to miss out on the fun of top-down driving. When I explored online the cost of a replacement top, I thought about saving the labor cost and installing a new one myself (a friend of mine at work had done this over a weekend on his Miata). But when I watched a video and saw the practice steps that had to be mastered for making a satisfactory installation, I decided against it. I figured if I messed up the installation, I would be no better off with a leaking roof that would ultimately have to be replaced anyway by a professional. With all the travel my wife and I had over the summer, there was never a good time to investigate getting it replaced locally. That is until I came home from a flight one time and found the rear window looking like this. On this trip, I was not able to find a covered spot in the airport parking garage and so had to park on the uncovered roof of the garage. While I was gone, Memphis had had extremely hot weather with an occasional thunderstorm. When I found the car in this condition, I was most concerned about how much rainwater might have gotten in the hole while I was gone. It also told me that I couldn’t leave the car out in the sun anymore until the top had been replaced. And so that was the motivation that got me going to replace the top. When I went to a local shop to get pricing, I was actually pleasantly surprised to learn that the cost of the top with installation was not that much more than the cost of just the top I had found on the Internet. 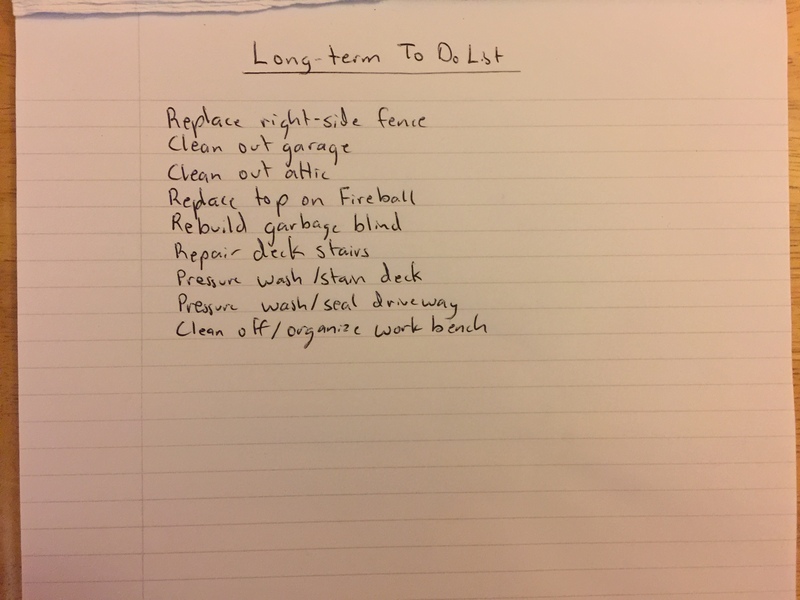 …I dropped the Fireball off on a Friday and the following week she was all done. The new top looked great and it was so nice not see the underside of the tape any longer. I decided on the way home to stop and get a nice shot of her in front of a famous Memphis landmark, a nice memento of the day she got her new top. 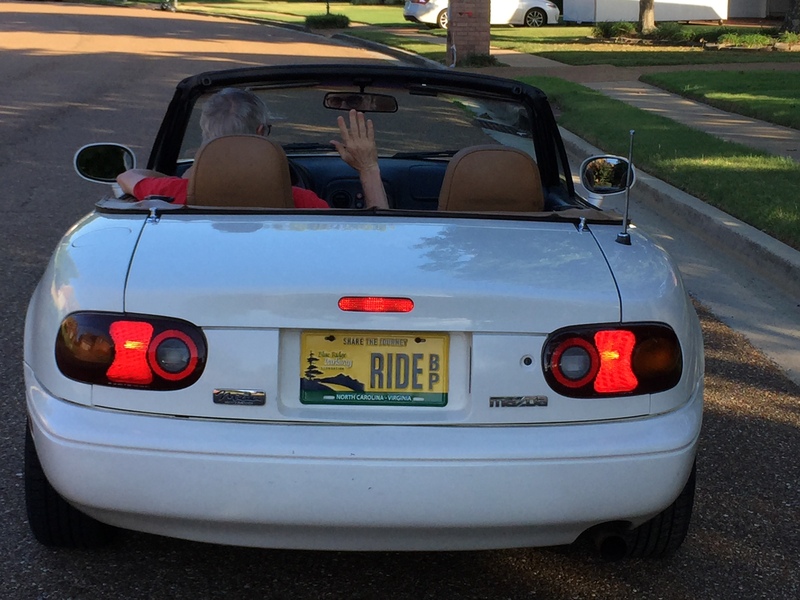 Only later did I realize that the sign on the building might be a good omen of all the fun top-down driving ahead for me under the sun of a nice Memphis day, made all the easier with the quick drop of a new convertible top! Next Next post: Re-Fence or Defense? Or Defeat? So glad she has a new top! And that you were able to patch it for so long! Did any rain get in at the airport? I’d have been biting my nails! Here’s to a fresh start! I too am glad as it will be a lot more fun now. I couldn’t find any evidence of water in the car so maybe the tape didn’t fall down until after it rained.